I’ve seen and heard SEO agencies complain about their experiences with their previous outsourced link building agencies. Instead of helping them achieve their clients’ goals, they did the opposite – worst is, they get their clients’ websites penalized due to their acquired low-quality/spam/irrelevant links. The question is, how did they get into trouble? Did they have the fault over those problems? Believe me or not, the answer is YES. Once you outsource your link building work to other companies and/or freelancers, you take accountable to that. 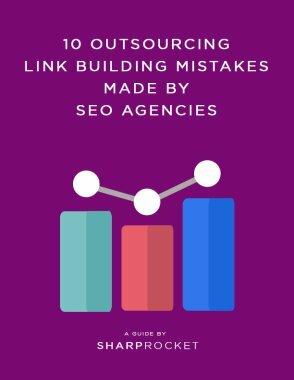 Now, here are the top 10 mistakes SEO agencies make when they outsource their link building tasks. Prevention tips for each mistake are also included to help you avoid any future problems or issues with outsourcing.